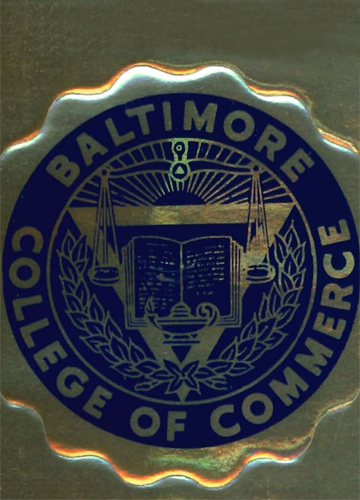 The Baltimore College of Commerce opened in 1909 and merged with the University of Baltimore in 1973. 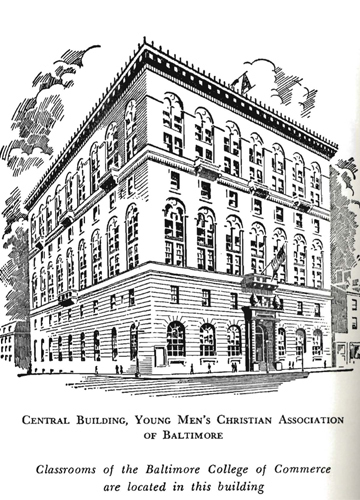 The college was originally located on the corner of Cathedral and Franklin streets in the central building of the Young Men’s Christian Association of Baltimore. 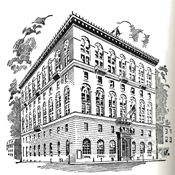 This building is now the Mount Vernon Hotel, located across the street from the Enoch Pratt Library. 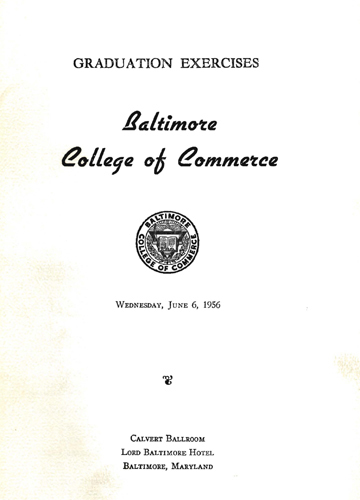 The college was a charter member of the Baltimore branch of YMCA schools. 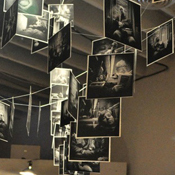 The college boasted a coffee shop and restaurant, library and recreational facilities, including a gymnasium and a swimming pool. 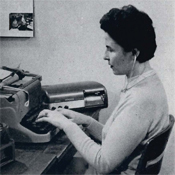 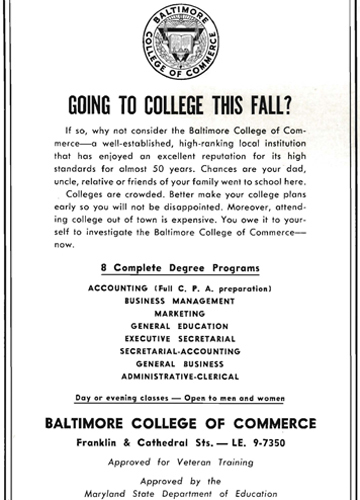 In 1955, the college offered three degrees: accounting, business management and marketing. 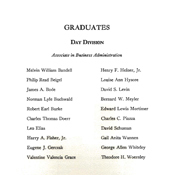 Ten years later, all three merged into a Bachelor of Science degree. 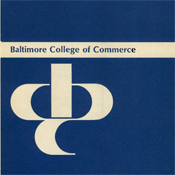 Over the next decade, the college added a certificate in accounting and associate degrees in business administration and management, executive secretarial (skills), general education, marketing, business organization and secretarial accounting. 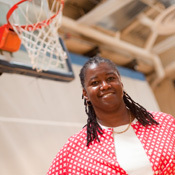 The faculty taught small classes with the “problem-project method” of instruction, which focused on getting the student to think in real-world terms. 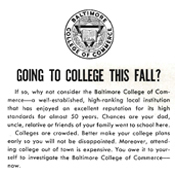 This ad for the Baltimore College of Commerce appeared in the Sept. 2, 1972, edition of the Baltimore Afro-American. 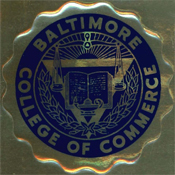 Once home to the Baltimore College of Commerce, it is now the Mount Vernon Hotel. 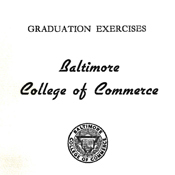 The YMCA building, the original home of the Baltimore College of Commerce, is now known as the Mount Vernon Hotel. 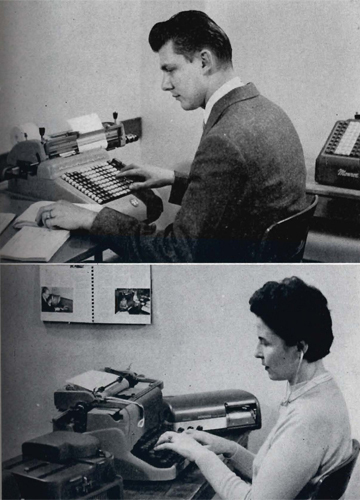 Students work on the college's then state-of-the-art accounting machines in 1955. 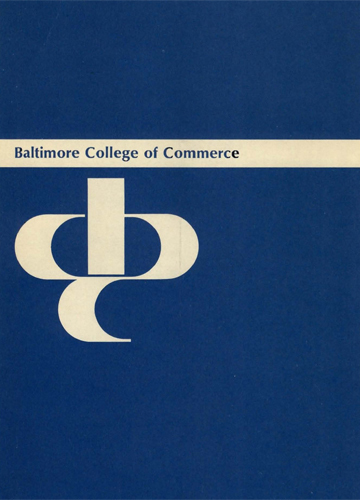 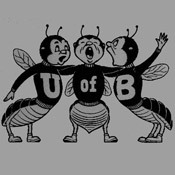 This program cover features the Baltimore College of Commerce logo. 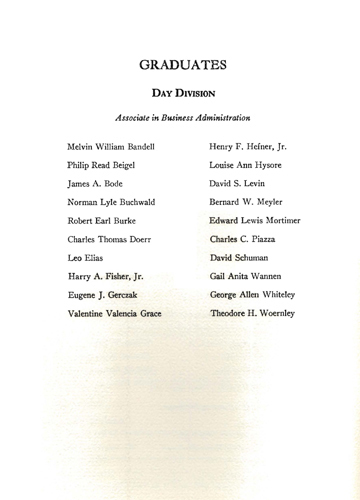 Melvin Bandell is the first name on this list of 1956 graduates from the Associate in Business Administration program. 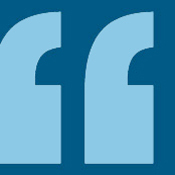 Read more about the Cyber Discovery Camp and hear President Bogomolny’s complete WYPR interviews.